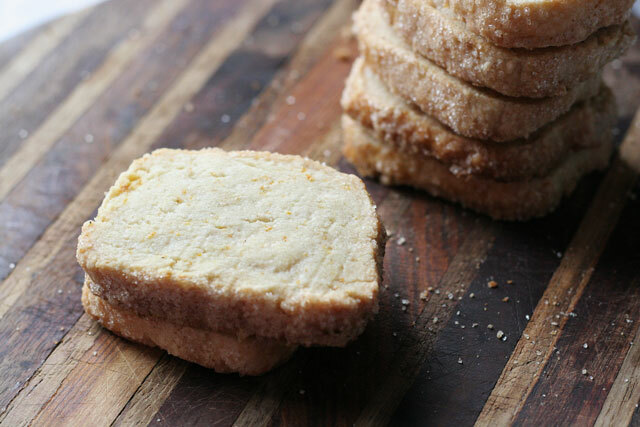 I’ve gone on and on about my favorite baking book and bakery over the years, and here I am again sharing another recipe from it’s glorious pages. 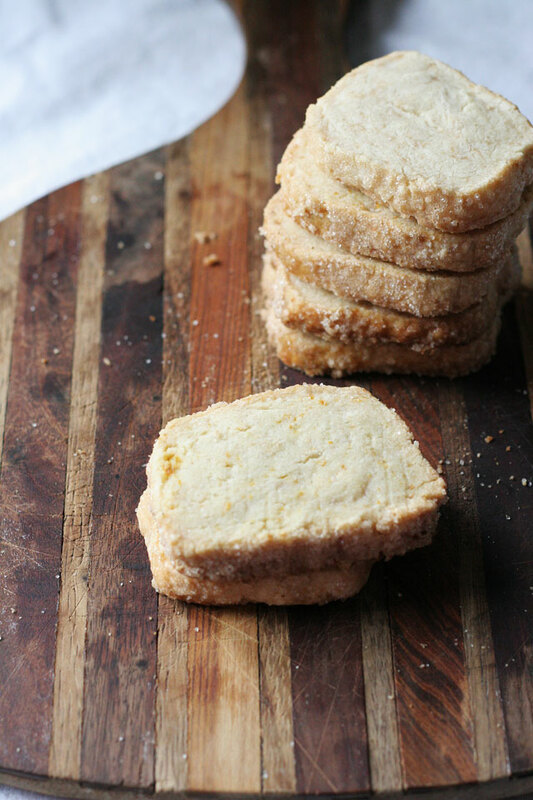 I fell in love with the process of shortbread when I worked at Baker & Spice, so this year I am making them at home two ways. One very traditional yet the best, and the other with some flare. Did I mention balance earlier this month? Well, it is the holiday season after all and I will be sharing one or two more sweet recipes then we go back to balance. So far I have made this gorgeous cake and these amazing scones, and vanilla shortbread, now these cookies. Enjoy! Place flour, rice flour, salt and cardamon in a bowl, whisk. Mix the 1/3 cup sugar and orange zest in bowl of a stand mixer with paddle attachment or bowl with hand mixer. Add the butter, and confectioner sugar mix on medium for 2 minutes. Fluffy, but not light and fluffy. Add the vanilla extract, mix. In two additions add the flours on low, scrape sides between additions. Mix until just combined, do not over mix. Place mixture counter. Divide into two pieces and place each piece on parchment paper. Using the parchment paper folded over the dough, roll back and forth, make 12 inch logs with each piece. Place in fridge for 2 hours covered with the parchment paper. Coat the logs with beaten egg whites, then roll each log in the 1/2 cup sugar. Slice 1/2 inch thick cookies, and place on a parchment lines baking sheet. Bake 18-20 minutes. Allow to cool on a cooling rack before enjoying. Store in an airtight container for up to a week. These look terrific! What will happen if I just use all regular flour and omit the rice flour? Just wondering what the rice flour does – I’ve never used it. Thanks! I used all purpose flour without no rice flour and the difference is noticeable but still delicious. It isn’t as light, a bit more dense, but seriously still good.